Imagine you and a few distinguished guests are invited to a dinner party at an eccentric Tennessee observation lodge tucked away in the Smoky Mountains. A half-hour in, you hear a scream echoing up the spiral staircase. There’s been a murder. Except, there is no murder, because this isn’t a real scenario, remember? But if there ever were an observation lodge ripe for an epic murder mystery, it’d probably be this one. 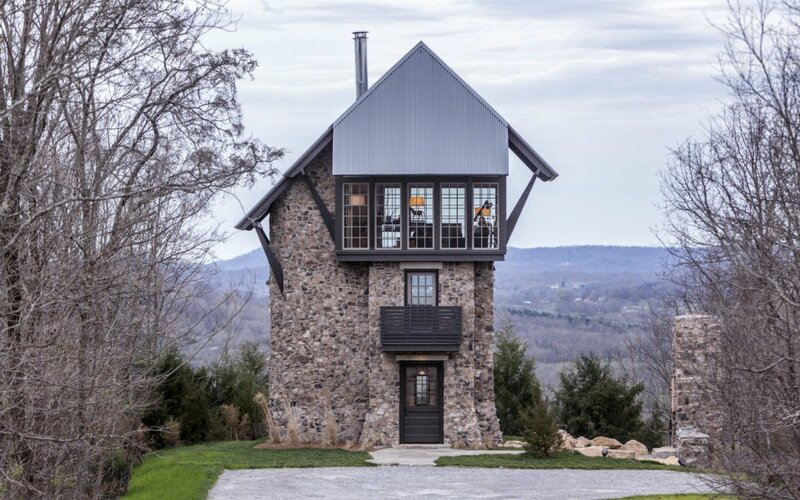 Nashville-based Pleffer Torode Architecture really swung for the fences on this mountain retreat, and even won an Excellence in Masonry Award for their restoration efforts. 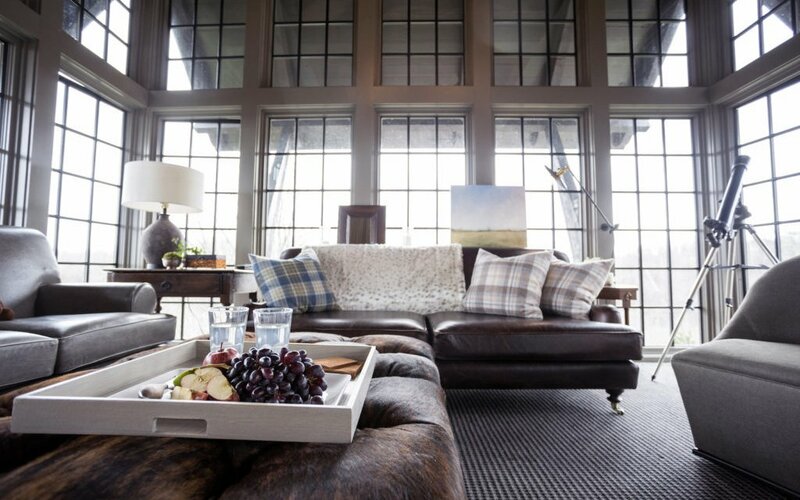 Here, it’s all about “vertical entertainment.” That means stunning floor-to-ceiling industrial windows — mixed with warm barnhouse lighting — to make sure your guests enjoy that view. 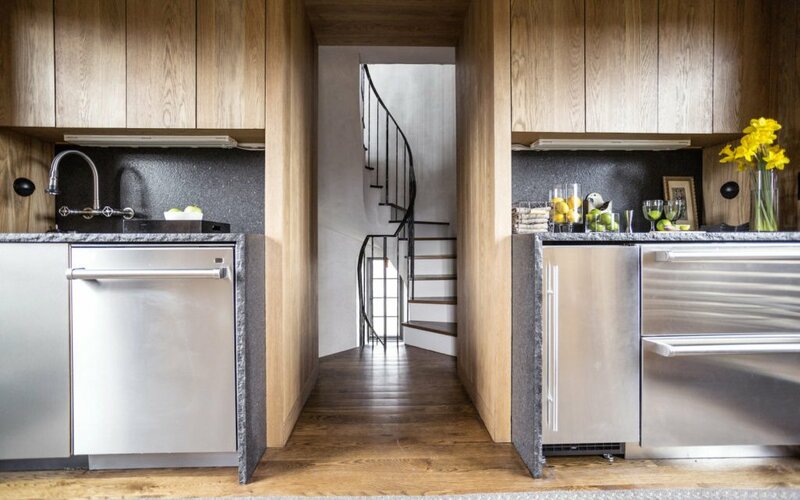 The kitchen is chiseled stone with a 19th century Swiss sink. And handsome antiques dot the vaulted entertainment space for some local flair. Just make sure all the doodads are accounted for.